For some time now we’ve been replying positively to our Irish Craft Brewers wishing to get their beers into cans. Last month we visited can canned 3 brands at Rascals Brewery and another at Kerry Brewing. We’re there again next week and then every month there after. WeCan Solutions Ltd are now able to supply their service for all Irish Breweries. We come with the gained from canning over 1 Million cans in the UK last year. Mobile contract canning, like any small scale canning, is far from easy. But our trained staff and excellent procedure ensures that your beer or cider (or other beverages for that matter) are dealt with in the most exceptional way. Our rigorous quality control ensures that brewers are confident of seam quality, low dissolved oxygen levels and excellent sanitisation. WeCan Solutions delver a service for as little as 10 barrels – which can be split over a number of brands. 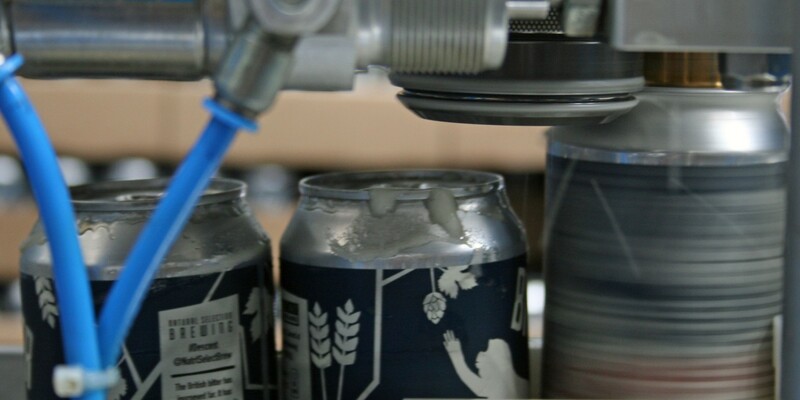 We’re able to print direct to can for volumes of over 50,000 cans per year. We take the hard work out of this for you, purchasing the cans and storing them for when you require them. Less that these volumes then we have perfected a labelling system that allows for incredible designs for volumes as low as 5,000 cans. But this is just the first stage !! WeCan Solutions Ltd can announce that they will be delivering their service with their ‘dedicated Irish line’ which will provide yet further flexibility. Based in Ireland and delivered with Irish staff, WeCan will ensure that quality and experience they have gained as pioneers in this industry is at the forefront of their service.